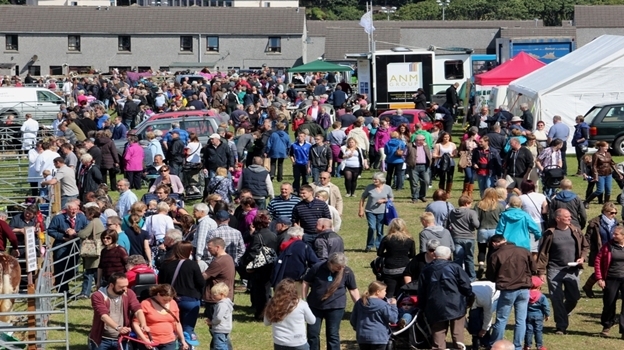 The County Show brings Orkney's show season to a close on the second Saturday of August. The Bignold Park is transformed into a hive of activity, with the best livestock from around the islands on display. Winners from the other local shows join other entrants and the competition is fierce! There are prizes for horses, dogs and pets too. Visitors can also enjoy an impressive machinery display, fundraising stalls, funfair, food vans and plenty of entertainment.